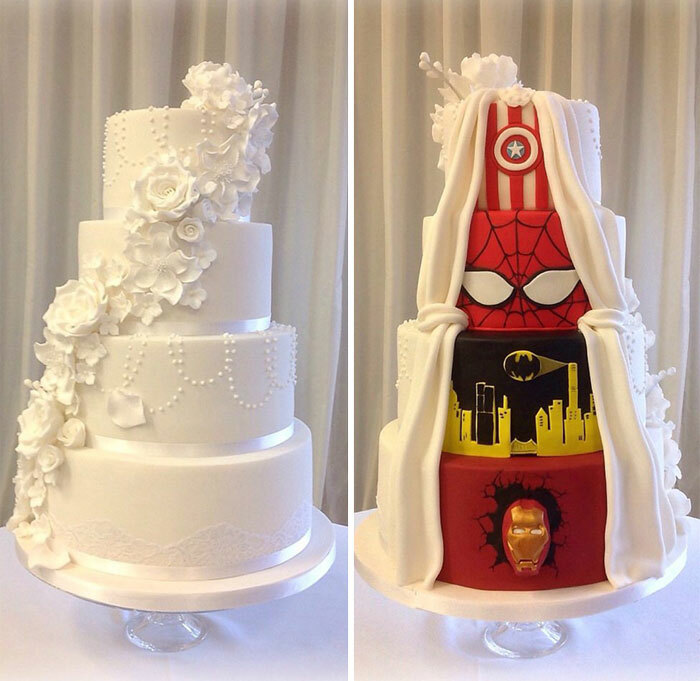 When a comic book buff and his fiancée got married, they decided to treat their guests to a ‘Two-Face’ wedding cake that would satisfy both the superhero fan in him, as well as her wish for something traditional. 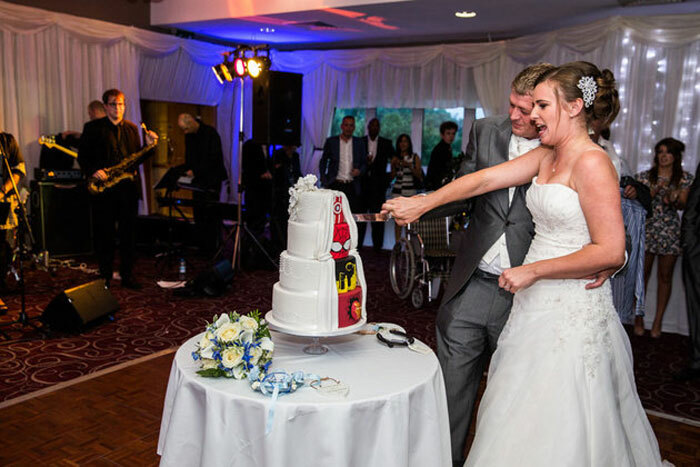 Decorated with confectionery roses and pearls, the couple’s wedding cake looks like a classic white tiered wedding cake at first glance. 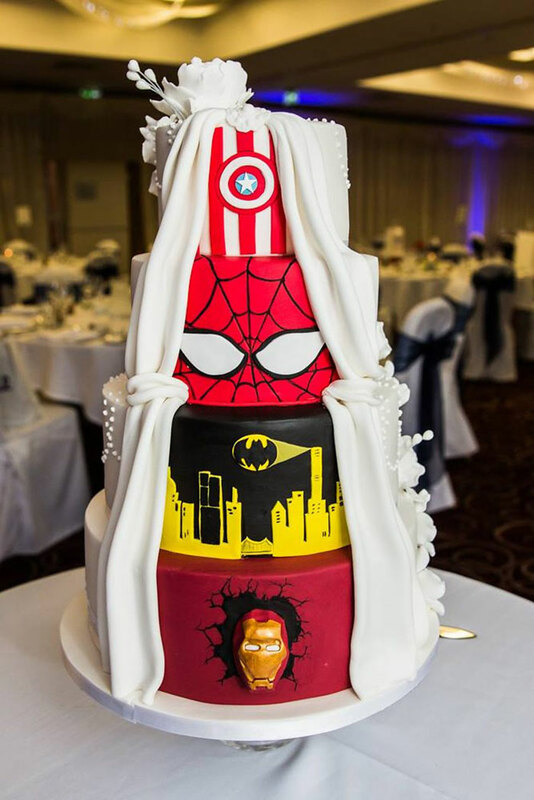 But a tasty ‘split’ at the back of it really reveals the groom’s love for DC Comics’ Batman and Marvel’s Captain America, Spider-Man and Iron Man!